I think I am done with this one. 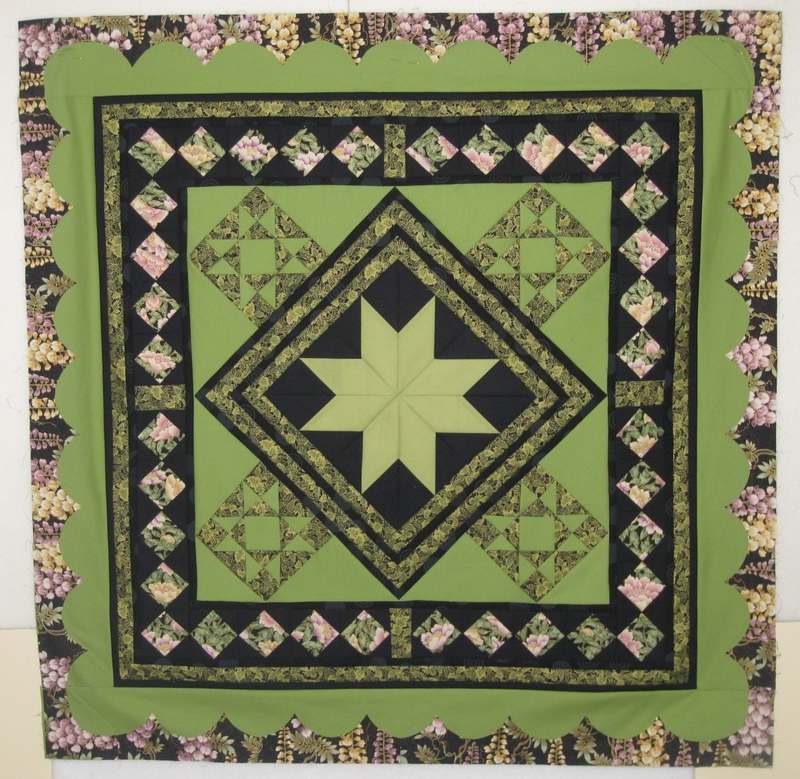 Now, I will quilt it, and bind it with black fabric. 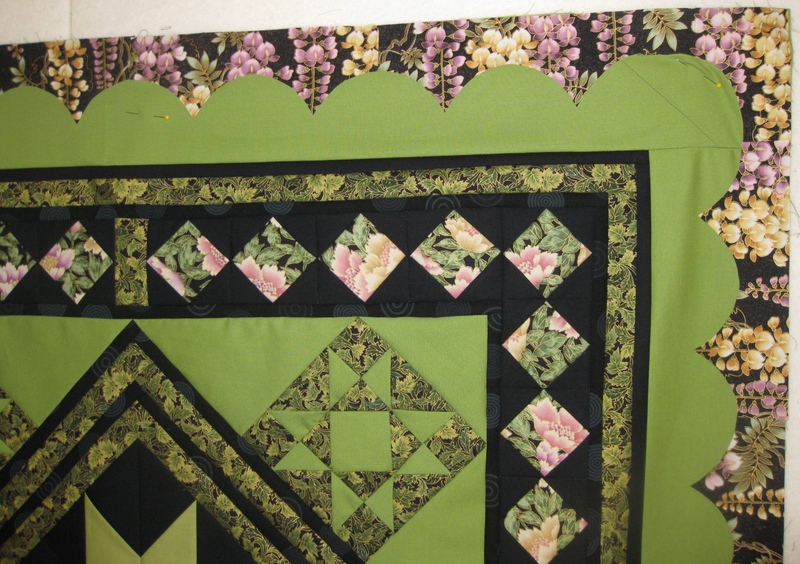 Do you like adding pieced borders to your quilts? There is a little bit of math involved, but nothing that would make you regret not having paid attention to math classes in school... 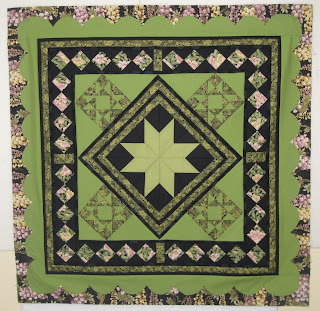 I will quilt it as soon as I finish quilting the log cabin one (see previous post). How do you like my design? The scallops were fused over the green border. This technique is illustrated in one of Teri Christopherson's books which I featured in one of my earlier posts, as well as on the Meet the Masters page of this blog. 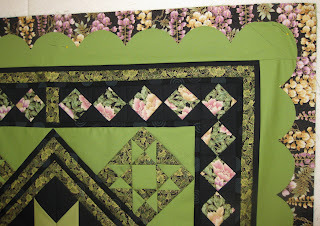 Now, I need to decide if I will applique them now or when I am quilting the top.